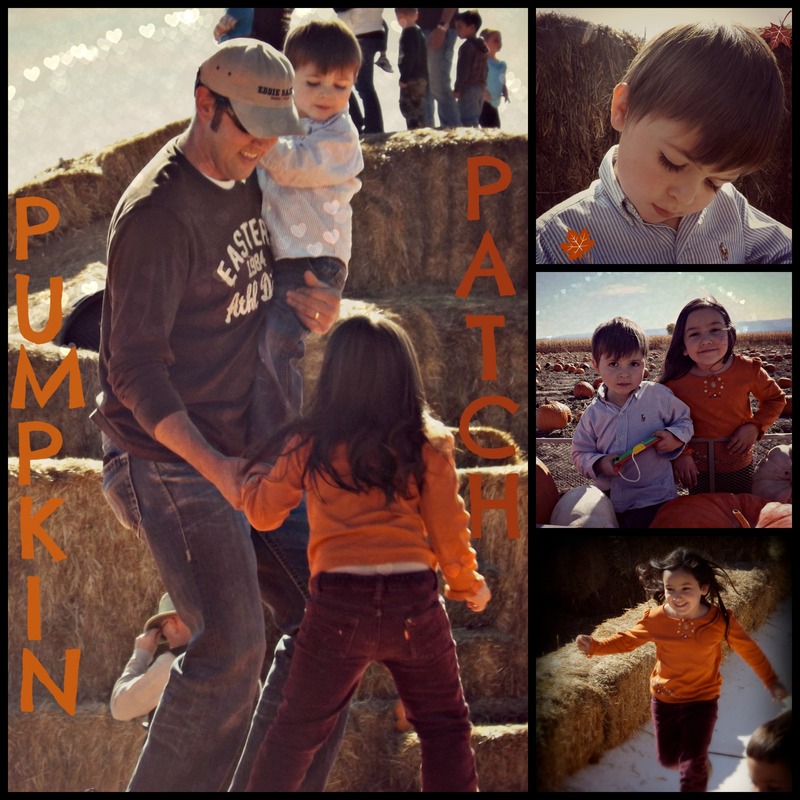 We went to the pumpkin patch on Saturday, and we all had a good time! It’s not too often that family fun outings go really well. Last year we attempted the pumpkin patch and were disappointed when our trampoline LOVING son decided he hated the big orange bouncy thingy. Right, that was a shocker. To back up our original dismay, Jeremiah also decided that he didn’t want anything to do with the gigantic slide, which was odd because he also loves slides. Last year Payton wasn’t doing as well, and as with most kids with her issues, we left with her screaming and crying, while I struggled to drag her (well I felt like it anyway) to the car. She wanted more. We had dropped an astronomical amount of cash, you wouldn’t even believe how much if I told you. She had jumped on the big bouncy thingy, gone down the slide numerous times, traversed the maze, picked out a pumpkin, and pet some animals. There was more to do if we wanted to fork over even more green, and Payton wasn’t happy that she didn’t get to do everything. This year we wondered what would take place. Would Jeremiah jump, get on the slide, or whine and cry the whole time while we tried to spend time together as a family outside the house? Would Payton leave crying and screaming that she never got to do anything, refusing to walk through the parking lot? None of that happened!!! I was so glad we braved the unknown, and frankly kind of scary, because we had a positive pumpkin patch experience this time around. Hurray! The prices weren’t as insane as they were the year before, Jeremiah JUMPED on the orange bouncy thingy, he really liked the slide, and he doodled on his ever present magna-doodle while we searched for the perfect pumpkins. Payton did quite a bit, but not everything, and she was good with it. We all left with smiles on our faces, and without sweat and tears dripping down our cheeks. All this to say, we must focus on the positive moments in our lives. Whether regular life gets in the way; relatives, broken washers, friends, and crazy schedules, or the extras, like Autism, and attachment issues. There are so many things that can get us down, depressed, and feeling irritated, focusing on good times and progress will help us get through it all. You may wonder why I write this blog, why you should listen to yet another person who thinks they have an answer to helping hurting, traumatized kids. Why am I here? Because of what my daughter has come through, the great progress she has made. I try not to flag my faith here. My faith in Jesus plays a pivotal role in my life, and sometimes it’s difficult to avoid talking about it. I don’t wave it in front of my readers because I want to welcome EVERY adopter, every foster parent, every parent of an Autistic child. I don’t want someone to read that I am a Christ follower and feel they will be judged or that what I say doesn’t apply to them, because that couldn’t be further from the truth. I welcome everyone here. Why did I just go on a rabbit trail about my faith? Because I cannot attribute my daughters healing to anything other than God giving us wisdom in how to help her. I can’t credit the progress my son has made to anyone but God. Did He send down divine miracles that culminated in instant healing? Well, we’ve witnessed several miracles in our journey from fostering to adopting and beyond, but no, when it came to their psychological and physical selves, it was a process. A process that took our hard work and dedication. Sometimes God sent the answers quickly, and other times we were banging our heads, falling on our knees, asking Him to show us what to do. And He did! That’s the awesome part, the journey to healing. I’ve mentioned my daughters diagnoses before, but for the purpose of helping you see where we’ve been, here they are: Reactive Attachment Disorder (please see my opinion of that HERE), PTSD, Oppositional Defiance Disorder, Failure to Thrive (emotionally), and mood disorder. We’ve had monumental success with our daughter, Payton, despite this LONG list of diagnoses. We have a really amazing daughter! We always have, but many times it was difficult to see her positive qualities amongst the screaming, raging, defiant, controlling behaviors. We had glimpses of how wonderful, sweet, thoughtful, and smart she was, but in the beginning they were viewed through a window thick with grime, and as we moved forward the grime fell off (well, we actually scrubbed it off with massive amounts of elbow grease). We now have several weeks at a time when we experience life with a sweet, cheerful girl. Payton is thoughtful of others, she goes out of her way to share food (which is a big deal for a child who’s had food issues) and toys with others. 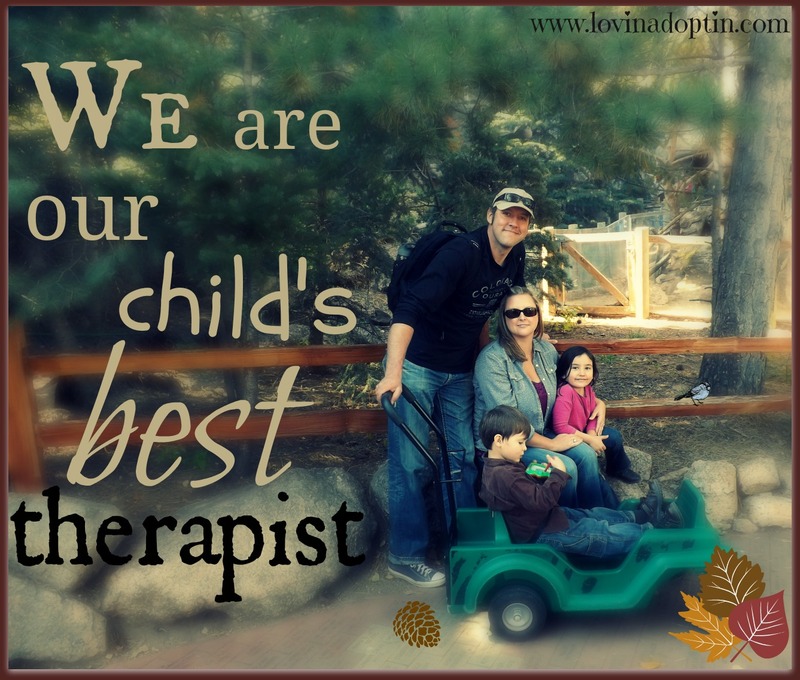 She’s a mini therapist with her younger brother, Jeremiah, who has Autism. She pushes him on the swing, she gives him what he needs, she notices the little things he says and does that are new and exciting (a word or a movement). She does all of this of her own volition. She has empathy for others when they are sick or hurt, or just feeling down. She’s very intelligent and enjoys learning new concepts, in fact her favorite free-time activity is teaching and reading to her animals. She’s a really special girl, and I love spending time with her. There was a stretch when I looked forward to the times when she went to her Grandma’s daycare for an afternoon, but now those times are extremely rare, I want her around. She plays well on her own, we have interesting conversations, and I like doing things with her. We have truly seen a turn around in her behavior, attitude, and her psychological makeup. I’m not sharing this to brag, I’m telling you so you can have HOPE. Your child CAN overcome. You won’t be battling this forever. Does this mean it’s easy to get where we are? No, it takes hard work and dedication. However I’m here writing this blog to help you do exactly what we did. 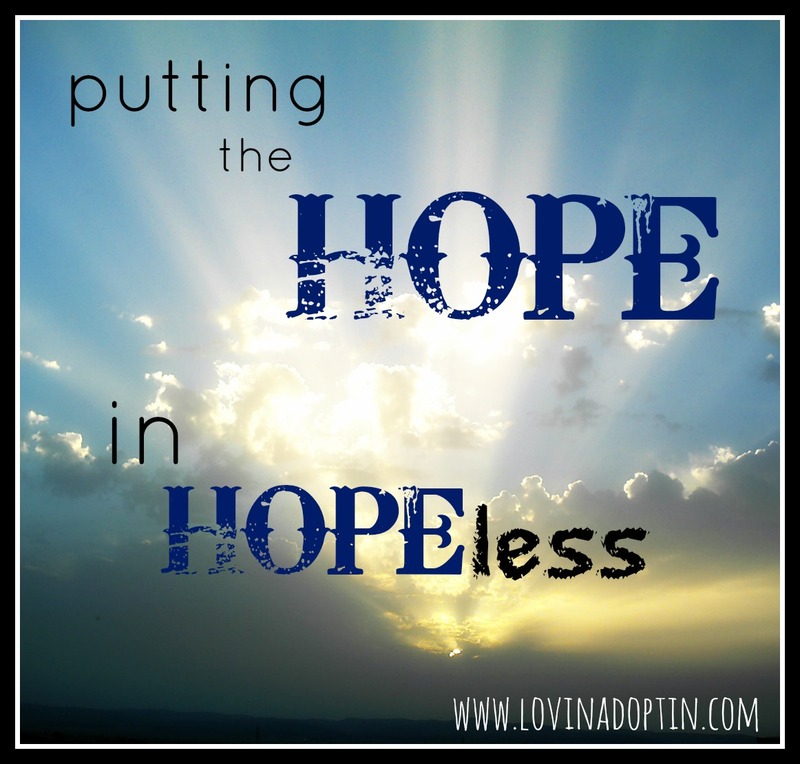 My hope is to help you help your child. Recently, one of my readers was discouraged by my post on detecting attachment issues, she thought her son was getting better and attaching, but when she read the list, she wasn’t so sure. My response to her was that our kids can heal from much of what they suffer from, but there are some behaviors, attitudes, and emotions they may carry with them the rest of their lives. Although their brain can heal, they will have certain personality traits that stick around because their early life was so formative. For example, my daughter will probably always be hypervigilant. Her early life taught her to watch out for herself and take care of herself because no one else would. She will always be aware of her surroundings and others, but now the worry is gone from her demeanor. Payton has leadership qualities (notice I say, “leadership,” not “controlling behavior”). She has a need to be in control of other kids. This works well with her brother who has Autism, because she mothers him and is helpful, but it can create problems with friends. I think as she gets older, this will become less of a problem as she learns how society functions, and we’ve already seen some great improvement in this area. We need to focus on funneling her desire to be in charge in positive directions. These are a couple of the traits that may stay with our kids. If they’re truly healing, you will see most of the others fade drastically, or completely disappear. Besides those formative months and years, we also have to consider their biological beginning. That beginning can influence them inutero or through their biological parents genetic makeup. There is great HOPE for our children. If we put effort in, there is a gorgeous rainbow at the end of our long road. It’s not a fix that will happen over night, but it can happen. God did not make us so we can’t change. God didn’t bring our children out of hardship so they could be miserable for the rest of their lives. He gives us HOPE. We have fallen, and if we are worth being picked up, then so are our children. To this day Dimitri’s bones ache when the winter cold settles in. As that chill cloaks him, memories of a frozen Uzbekistan scene play through his mind like a horror film. His father laying on the concrete floor of an abandoned building, drunk, and nearly dead. He’d wrapped a thread bare blanket around his sister, but her little feet protruded from underneath. His other sister sat watching those who must brave the harsh winds pass on the street, fur Ushanka hats, coats, and boots layered their bodies, warding off the sting of ice. Then it had come time for him to scrounge up something for dinner, but the chances were slim, they hadn’t eaten in two days. Stories like this one are plentiful in the adoption community, whether a child came from Russia, Africa, or America, they all have their stories. They may not be exactly the same, but they all contain great heartache. What is a child to do with that pain? Do they know how to be a well-behaved daughter or a perfect sibling? 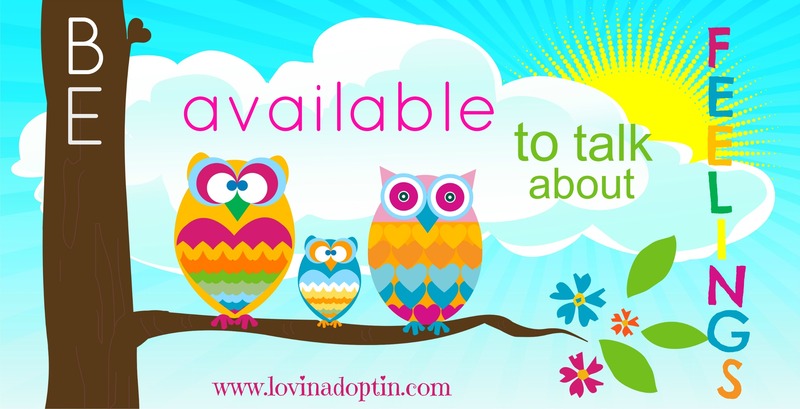 Will they fit seamlessly into their adoptive family within one year of meeting them? What about a child who hasn’t attached within two years? I don’t believe children are given enough opportunity to get past the anguish they have been through, and brought with them. As I have said many times, our hurting children have developed a new way of living because of their previous environment. You may see different stages of behavior and say, “He wasn’t like this before.” When our children come to us, they may be quiet and reserved, as time passes they may try to be controlling because they have a need to dominate situations or they feel everything will fall apart if they don’t. (Their previous life did, so why wouldn’t this one?) Then you may see outbursts of anger and a complete breakdown of behavior – this can be a sign that they’re beginning to get comfortable and they are SCARED. Our hurting children want to replicate the chaos in their brain because it makes them comfortable if their outside environment duplicates what’s inside. 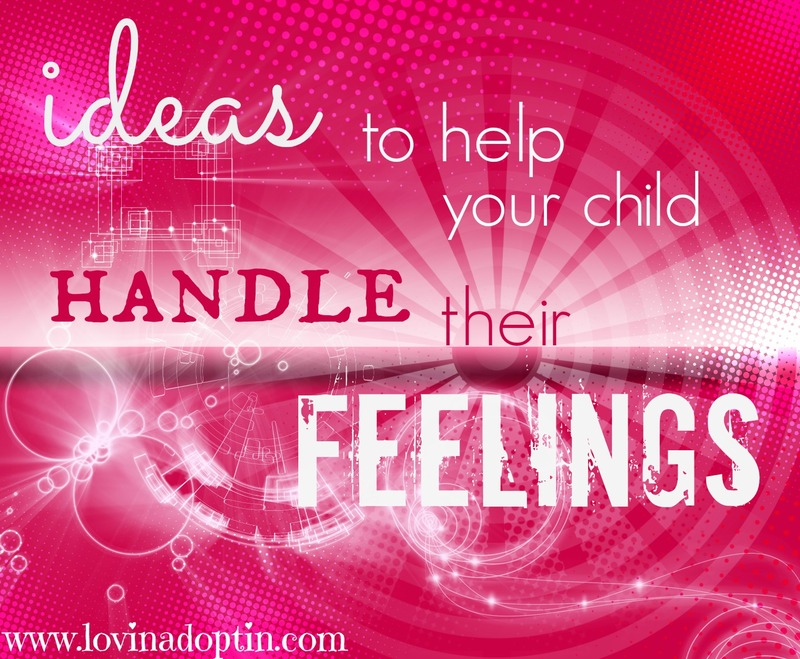 So we can see that our hurting children exhibit behaviors for a reason. In the past week I’ve mentioned the Reuters investigation The Child Exchange a few times. Why? Because it’s shocking. But shocking as it is, I feel the thoughts the adoptive parents have expressed there are more common than we want to think. I believe part of the problem stems from our society. We are living in a “me” world. (Don’t worry, I live in the same “me” centered universe too.) Soon after we adopted our daughter, my mom said to me, “When you and your brother were little, I didn’t have date nights or weekend getaways.” True, they didn’t. But truer still is the fact that mothers can do a better job raising their kids if they can have some time away (especially if you have hurting adopted children – but always be careful how much you leave your kids and /who/ you leave them with). This mindset, the one that says we need date nights or a break, can be taken too far. I say, everything in moderation. 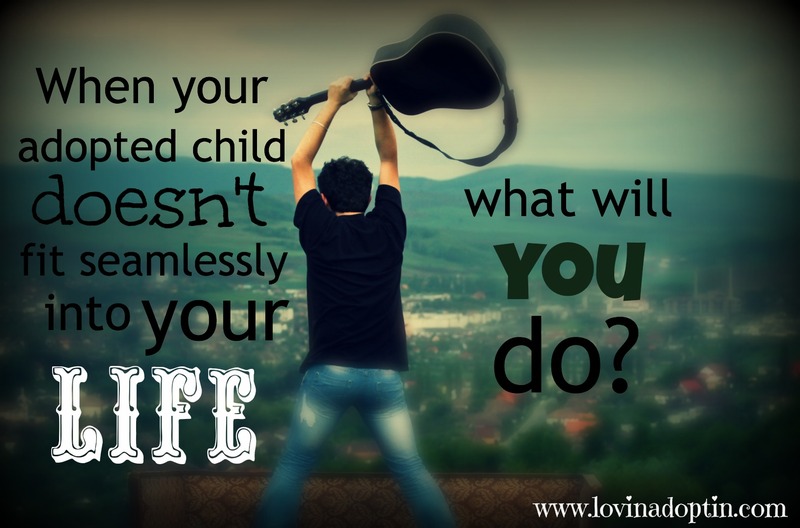 We can begin feeling that life is about us, and if you have a child who’s difficult, it can turn into ideas such as, “This is not what I signed up for,” or, “This child is taking too much of my time.” Parents can even place the needs of their biological children above their adopted ones. My second problem with his statement was the inconvenient part. Really?? (By the way, this couple did not have other children.) It was too inconvenient for them to provide therapy for their hurting daughter? I am simply flabbergasted. Third, they didn’t have the finances? I wonder if they’d had a biological child who went missing, what they would have done to get that child back safe in their arms. What assets, time, and effort would they have put into finding that child? 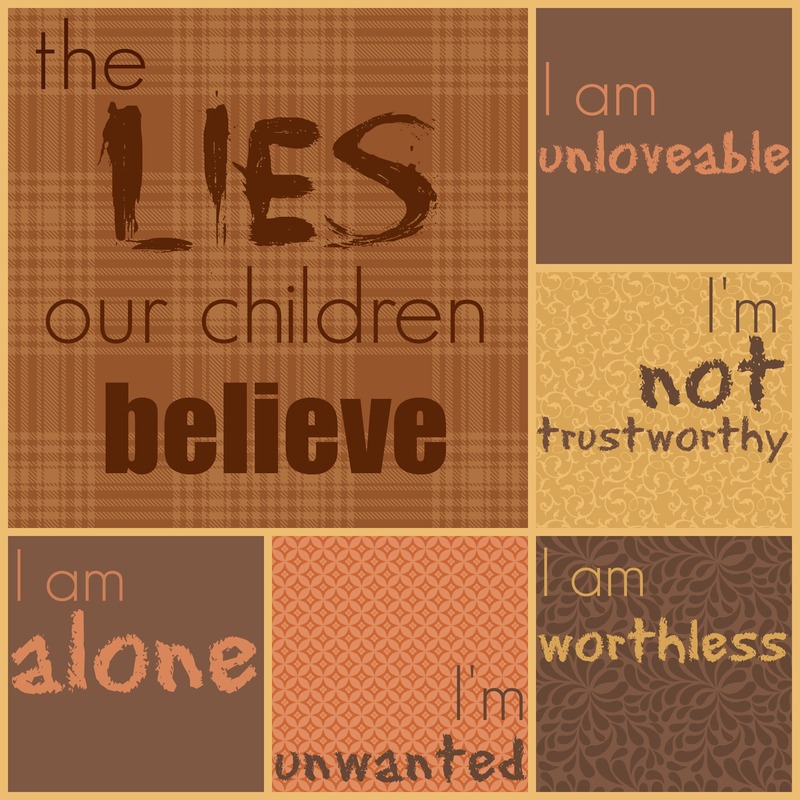 It should be the same for an adopted child, because they are essentially lost without our help. They need us to move heaven and earth for them, they must be treated as our children because that’s what they are. If we don’t treat them as such, I can guarantee they know it, and their actions will speak volumes against us. This is a LIFE, and I can’t stress how important it is to put our child’s needs first. The point here is that often it’s not as bad as we perceive it to be. We are tired, we are worn down and worn out. But when we think clearly (and follow advice from this blog – insert smiley face), we can see that our problems can be overcome. Believe me, I am not immune to problems. Besides having a child with multiple diagnoses stemming from her early neglect, I have a son with Autism. Autism can be extremely difficult, and one aspect that makes it such is my son is constantly changing. There is always an obstacle to overcome. We are constantly having to problem solve; how do we potty train a child who doesn’t talk or use sign language, or understand the words, “Come and tell me when you have to go potty.” What do we do when he’s suddenly frightened by his room, but we can’t communicate through words that it’s safe, how do we take care of his sensory needs when we can’t go outside and swing? If you have a hurting child, problem solving is part of your daily life, and the issues our children present can be solved. I know this post isn’t encouraging, but I desperately want to see families staying together because I care immensely about adopted children. They have been through hell and deserve to have a wonderful life. I also care about you, the parent, and I know that if you don’t follow through with your commitment to your child, you will ridicule yourself and the guilt will pester you. You won’t feel better if you don’t do all you can. And you CAN do it!